In 2017, a new brand of cigars hit the market known as Casa Cuevas Cigars. The brand is owned by the Cuevas family who for many years has operated the Tabacalera Las Lavas factory in the Dominican Republic. 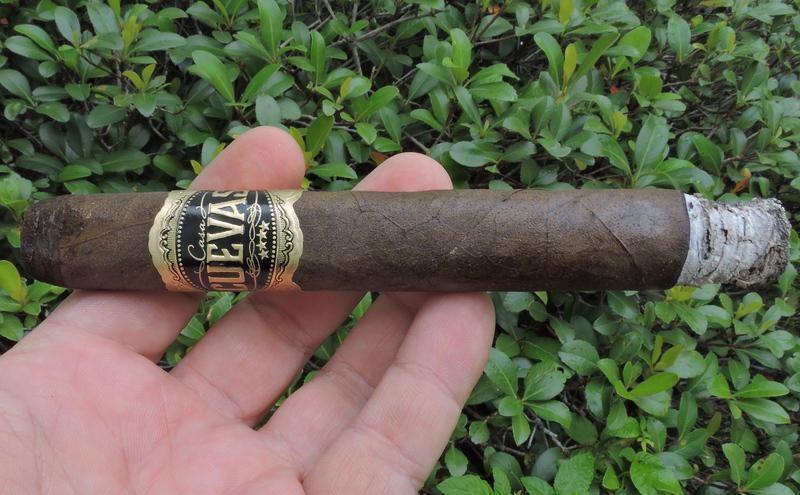 After many years of producing cigars for other brands such as Gurkha, Toraño Family Cigars, and Leccia Tobacco, the Cuevas family turned their attention to bring their own branded cigars to market with Casa Cuevas. The brand launched three core lines: Casa Cuevas Connecticut, Casa Cuevas Habano, and Casa Cuevas Maduro. In 2018, Casa Cuevas added two line extensions to the Habano and Maduro lines with the Flaco (lancero) and Clásico Prensado (a box-pressed 6 x 48 Short Churchill). Today we take a closer look at the Clásico Prensado offering in the Casa Cuevas Maduro line. The father and son team of Luis Cuevas Sr. and Luis Cuevas Jr. owns and operates Casa Cuevas and Tabacalera Las Lavas. Luis and Luis Jr. are of third and fourth generation Cuban descent. The Cuevas family traces its roots in the cigar industry back to the 19th century. This is when Juan Cuevas settled in the Pinar del Río valley and started cultivating tobacco. Juan’s son Juan Jr. would take over the business from his father, but with the Cuban Revolution, Juan Jr left Cuba for the Dominican Republic. This is where the family has been based ever since. Without further ado, let’s break down the Casa Cuevas Maduro Clásico Prensado and see what this cigar brings to the table. The Casa Cuevas Maduro blend is a four-country multi-national blend highlighted by a Mexican San Andres Maduro wrapper. There are now five sizes of the Casa Cuevas Maduro line. Each is a regular production 20-count box offerings except the Flaco which is a limited offering presented in a 10-count box. The San Andres wrapper of the Casa Cuevas Maduro Clásico Prensado had a chocolate-brown color to it. The wrapper itself had a very light oil sheen on it. There were some visible veins and visible wrapper seams, but as I have commented in the past on the Casa Cuevas Maduro, this is not a very rugged looking wrapper and presents itself very nicely. The press is more of a soft oval-like trunk press. 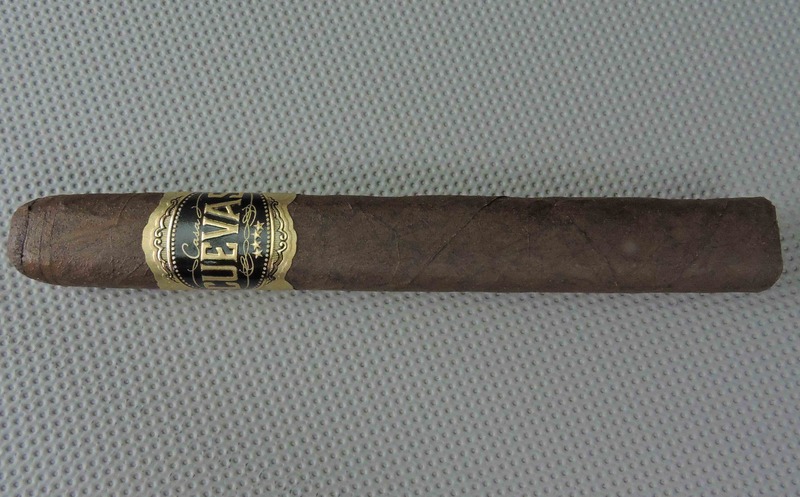 The band of the Casa Cuevas Habano has a dark black and gold color scheme to it. On the front of the band is a large black oval with the text “CUEVAS” prominently displayed in a large gold font. Just above that text is the text “Casa” in a thin cursive gold font. The remainder of the band features some gold medallions also on a black background. The band is finished with a thick gold foil-like trim. A straight cut was used to remove the cap of the Casa Cuevas Maduro Clásico Prensado and commence the cigar experience. Once the cap was detached it was on to the pre-light draw stage. The cold draw delivered a mix of chocolate, earth, natural tobacco, and a citrus fruit. I considered this to be a very good pre-light draw. At this point, it was time to light up the Casa Cuevas Maduro Clásico Prensado and move into the smoking phase. The Casa Cuevas Maduro Clásico Prensado started out with a mix of chocolate, coffee, earth, citrus, and a mix of black and white pepper. The chocolate and coffee notes became primary early on. While sometimes I will get a fusion of chocolate and coffee (which I term “mocha), I found these notes to separate and distinct. The chocolate notes still had an edge during the first third. The citrus notes had a subtle sweetness where the sour component was mitigated. Meanwhile, there was a mix of pepper, cedar, and fruit sweetness on the retro-hale. During the second third of the Casa Cuevas Maduro Clásico Prensado, the chocolate and coffee notes continued to alternate in intensity in the forefront. There were times the citrus notes also surfaced in the forefront, but for the most part, it remained a close secondary note. As the cigar experience progressed through the second third, the coffee notes started to have the edge in intensity. While the pepper and earth notes remained in the background, there were also some subtle cedar notes that emerged. The final third saw the coffee notes in full control. These notes had a rich espresso-like quality to them. There was an increase in the pepper spices and to a lesser extent. There still was just enough sweetness from the chocolate to provide a nice balance. This is the way the cigar experience of the Casa Cuevas Maduro Clásico Prensado came to a close. The resulting nub was firm to the touch and cool in temperature. Burn-wise, the Casa Cuevas Maduro Clásico Prensado scored very nicely. The cigar maintained a straight burn line and straight burn path from start to finish. There were some touch-ups along the way, but it was what I consider to be a normal amount required. The resulting ash was firm with a light gray color and some occasional darker streaks. The burn rate and burn temperature were both ideal. The Casa Cuevas Maduro Clásico Prensado had an excellent draw. Many times a box-press will have a more open draw, but with the Casa Cuevas Maduro Clásico Prensado there was a perfect balance of resistance and openness. At the same time, I did find this cigar produced an ample amount of smoke. In terms of strength, the Casa Cuevas Maduro Clásico Prensado is going to be a solid medium from start to finish. There wasn’t much in the way of variance of the strength level throughout the smoking experience. While the body also started out medium around the midway point, there was a spike in the intensity of the flavors pushing this cigar into medium to full-bodied territory. For the most part, I found the body had the edge over the strength – particularly during the second half when the body increased. Casa Cuevas has been a brand that continues to impress with the quality of the cigars they are bringing to market. The nice thing about the Casa Cuevas Maduro Clásico Prensado is that it definitely keeps to the profile that I have seen with the other vitolas of the Maduro line. At the same time, it brings its own character to the table. In particular, I liked the way the flavors balanced each other on the palate. Even when the cigar got a little more spicy toward the end, the spice didn’t overpower the other flavors that this cigar produced – and that’s a big positive in my book. This is a cigar I could recommend to any type of cigar enthusiast who is looking for a maduro that delivers on flavor. As for myself, this is a cigar I would smoke again – and it’s certainly one that earns box worthy consideration in my book.